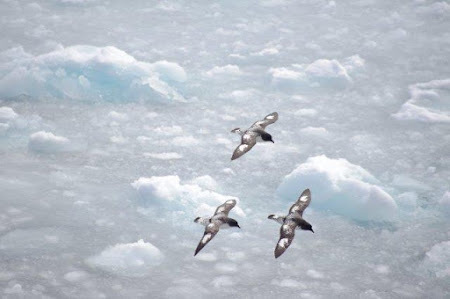 Aurora Expeditions has partnered with BirdLife Australia to offer birding enthusiasts a chance to experience some of the most astonishing birdlife and wilderness on our planet. Limited to 54 passengers, our 18-day Scotia Sea Springtime voyage departs this November from the Falkland Islands to South Georgia and Antarctica. BirdLife Australia's senior bird ecologist Mick Roderick will join our expert guides aboard our small ship Polar Pioneer as special guest lecturer. 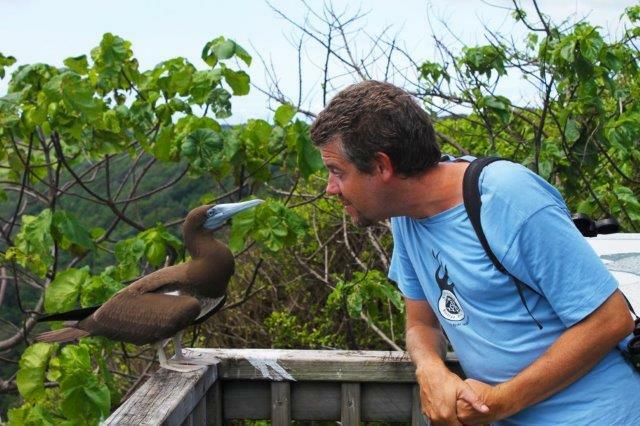 The Expeditioner asked Mick why birds make him tick—or should that be tweet? You are a self-confessed 'petrel-head'. What do you love about petrels? I love all seabirds, but there is something about petrels, particularly the Pterodromas— just the word invokes a feeling of wildness and intrigue. These birds rarely show interest in boats in the way that albatrosses, shearwaters and other seabirds do, often screaming past at rapid speed, arcing up high and tilting their wings beyond perpendicular to the water. They are the Maseratis of the seabird world! Tell us about your role at BirdLife Australia? I coordinate the 'Woodland Birds for Biodiversity' project, one of BirdLife Australia's longest-running and community-involved projects. Over 80% of temperate woodlands in South-eastern Australia having been lost since European settlement, with it some serious declines in the birds that rely on them. I coordinate woodland bird surveys, particularly for our most endangered woodland birds such as Regent Honeyeaters and Swift Parrots. My role also involves undertaking private land conservation initiatives, community awareness raising and training in woodland bird identification and survey techniques. What are your best tips for birdwatching? Watch birds closely and they will teach you about themselves. Don't move around too much; if you stay still the birds will come closer to you. When identifying birds, train yourself to note the bird's shape, size and behaviour, as opposed to colours. This is useful for distinguishing difficult-to-identify species, particularly at sea where colour is of little help anyway. Oh, and in a forest environment you must learn the calls! What are most looking forward to about the upcoming BirdLife Australia expedition to Antarctica & South Georgia? Apart from the petrels? I'm very excited about visiting the islands where many of the seabirds breed.